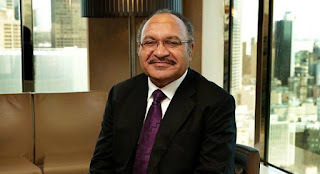 The Prime Minister, Peter O’Neill , will travel to the United States of America this week to present Papua New Guinea’s Country Statement to world leaders at the 72nd session of the United Nations General Assembly in New York. In the lead-up to the UNGA meeting, Prime Minister O’Neill will speak at an investment conference to promote investment opportunities in Papua New Guinea’s resources sector. PM O’Neill will also meet with senior executives of ExxonMobil while transiting Dallas, Texas. “The opening of general debate at the United Nations provides an opportunity to share Papua New Guinea’s perspective on priority national, regional and global issues,” the Prime Minster said prior to departure. “Through this process we also engage with partner countries to find common ground on matters of significance to our people. “As a developing country, Papua New Guinea carries a number of concerns on which we seek greater engagement with larger economies. “The plight of people who have been displaced by conflict or climate change, or by instability in the global economy, are all matters that have significant impact on developing countries. While in New York for the United Nations meeting, the Prime Minister will address a business and investment conference with current and future investment partners in the Nation’s resources sector. “With the gradual improvement of energy prices, now is the time to invest in Papua New Guinea, and that is the key message I will take to leading resources companies. “The oil and gas sector in Papua New Guinea has enormous potential and we will continue to discuss operations with investment partners to expand investment and create more jobs. “While in the United States I will also take the opportunity to meet with senior executives of ExxonMobil. “The contribution that the PNG LNG project has made to our economy had been substantial.